Download "Regina G. Presley telephone: 1-502-852-8297 e-mail: rgpres01@louisville.edu"
3 Research Areas of Interest/ Work in Progress Schmidt, S.E, Shreffler, M.E. & Presley, R.G. (in progress). 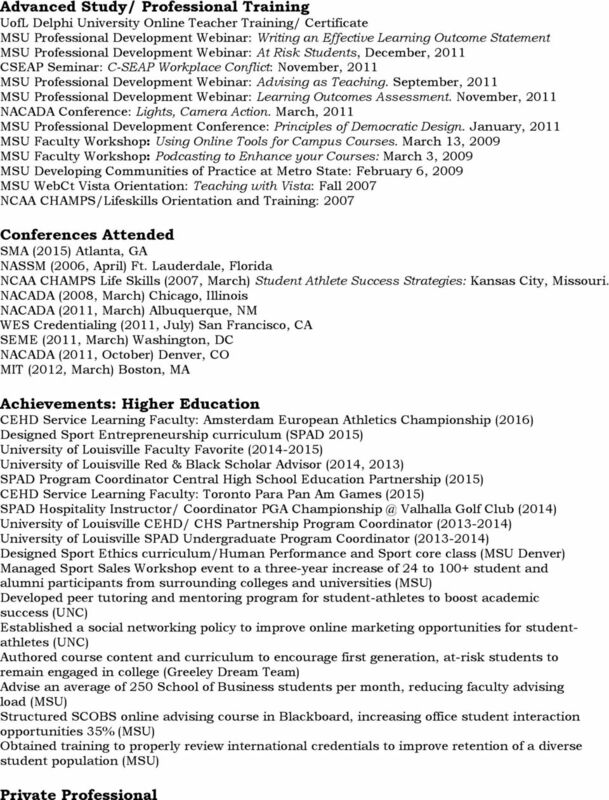 Motivations for Twitter Use: An Examination of Intercollegiate Athletes through Impression Management. Presley, R.G & Hambrick, M.E. (in progress). From Selling Rock to Running Roc Nation: An Examination of Jay Z s Rise in the Entertainment Industry and His Future in Sports Agency. Presley, R.G. (2014). 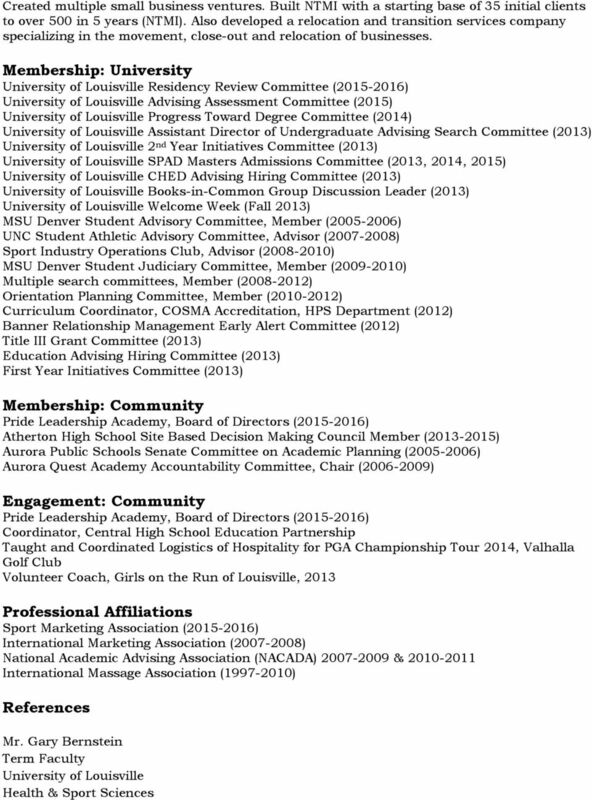 Sport on a Mission: An analysis of values in Sport Organization Missions, University of Louisville (in progress). Presley, R,G. (2012).Utilizing Technologies for School-Specific Advising Assessment., Metropolitan State College of Denver (in progress). Murphy, A., & Presley, R.G. (2012) Online Advising Course: Leveraging Technology in Advising to Minimize the Impact of Budget Cuts, Metropolitan State College of Denver (in progress). Presley, R.G. (2010).Redefining Ethics in Sport Management: A Comparison of Models of Moral Development. Presley, R.G. (2010).Hazing in Society: A Need for Social Change. Presley, R. G. (2007). A Course in Cyber-Social Discipline for the Collegiate Student Athlete, Unpublished Sport & Higher Education Research, University of Northern Colorado. Presley, R.G. 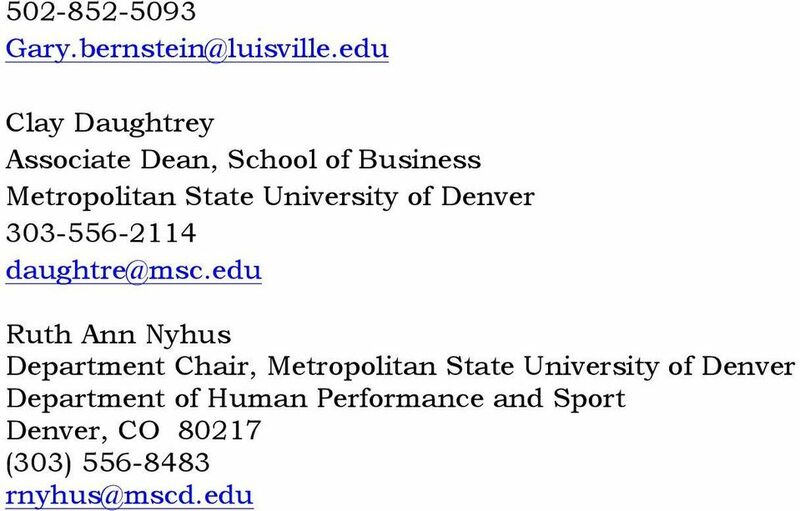 (2007).Ambushing the Olympic & Amateur Sports Act, Unpublished Sport Law Research, University of Northern Colorado. Presley, R.G. (2007). 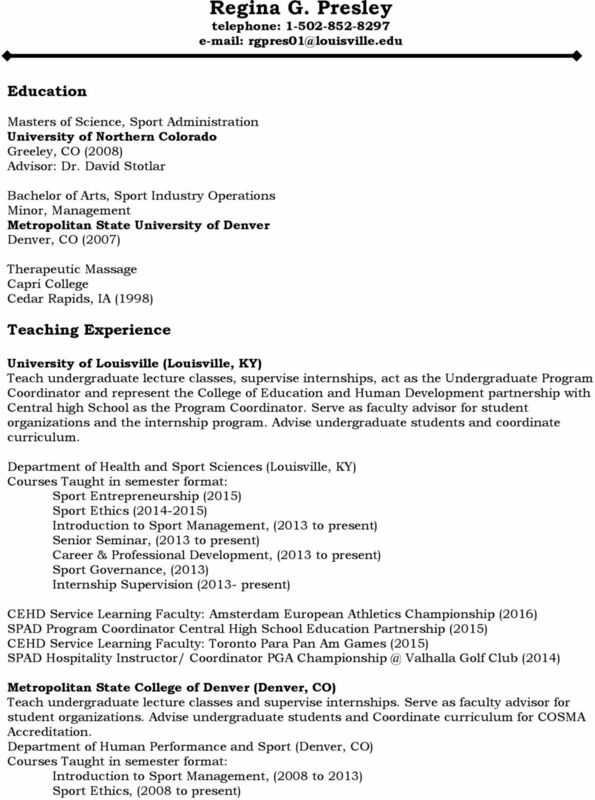 Effects of Educational Background on the Organizational Commitment in Sport Management Professionals, Unpublished Masters Qualitative Research, University of Northern Colorado. Professional Publications Case Study: Shreffler, M., Presley, R.G., & Schmidt, S. (2015). 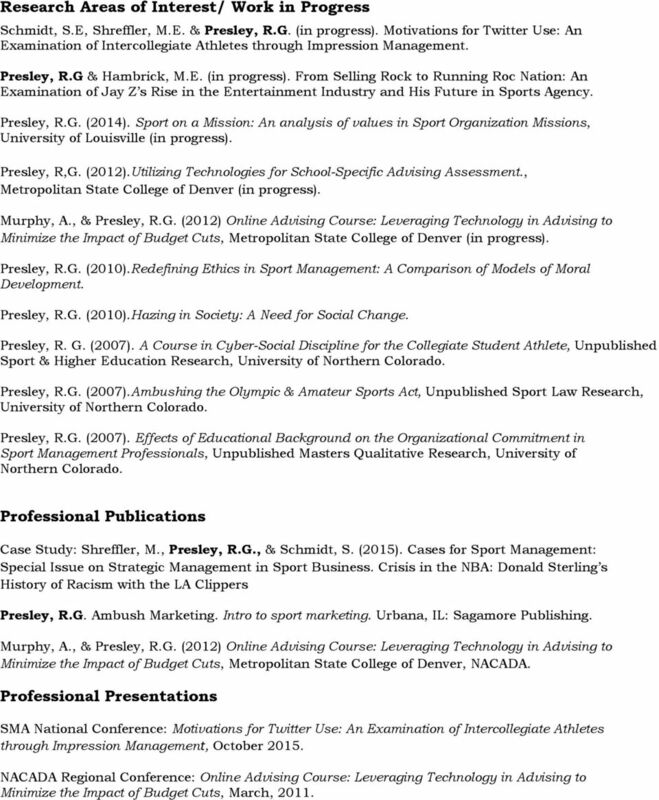 Cases for Sport Management: Special Issue on Strategic Management in Sport Business. Crisis in the NBA: Donald Sterling s History of Racism with the LA Clippers Presley, R.G. Ambush Marketing. Intro to sport marketing. Urbana, IL: Sagamore Publishing. Murphy, A., & Presley, R.G. (2012) Online Advising Course: Leveraging Technology in Advising to Minimize the Impact of Budget Cuts, Metropolitan State College of Denver, NACADA. Professional Presentations SMA National Conference: Motivations for Twitter Use: An Examination of Intercollegiate Athletes through Impression Management, October NACADA Regional Conference: Online Advising Course: Leveraging Technology in Advising to Minimize the Impact of Budget Cuts, March, 2011. University of Missouri Kansas City, Kansas City, Missouri. Education Specialist in Higher Education Administration, 1994. Gary M. Bernstein 2500 Broadmeade Road Louisville, Kentucky 40205 Work: 502-852-5039 Cell: 757-667-0293 Email: gary.bernstein@louisville. BETH B. NIKOPOULOS, M.H.S., M.A. Trish Maguire 1347 Oakwood Circle Portales, NM 88130 Cell: 575/760-1864 Email: trish.maguire@enmu.edu EDUCATION Master of Business Administration. Emphasis: Accounting, 1988 Bachelor of Business Administration. Suzanne E. Kemp 359 Barkley Memorial Center 1721 Saint Andrew Pl University of Nebraska-Lincoln Lincoln, NE 68512 Lincoln, NE 68583-0738 402.450.1493 402.472.0084! skemp2@unl.edu DEGREES Ph.D. M.A. B.A. EDUCATION Communication Studies, emphasis in Organizational Communication. The University of Texas at Austin. Organizational Leadership Graduate Program. practical. focused. relevant. in the elimination of a $200,000+ budget deficit within 2 years. Andrea E. Evans, Ph. D.
ATHLETICS AND SPORT. 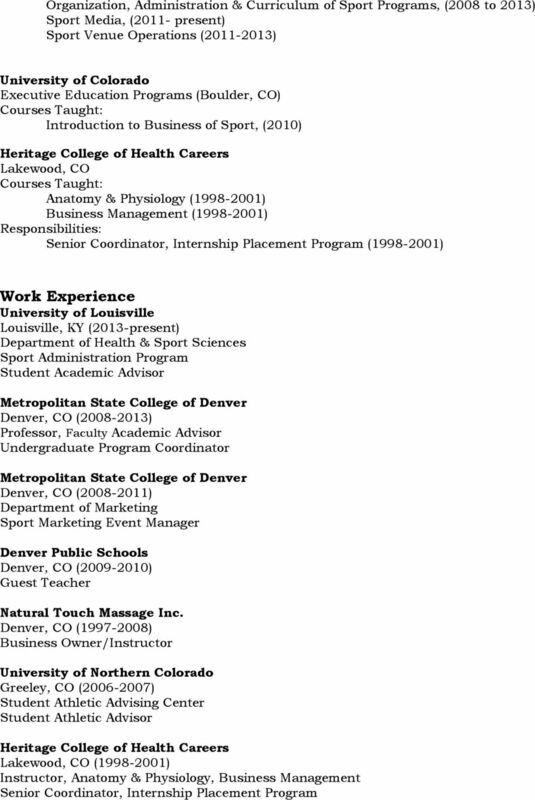 What can I do with this major? The University of Findlay COLLEGE OF BUSINESS The COB Difference In The University of Findlay s College of Business, you will learn by doing through the University s emphasis on experiential learning. LESLIE A. CUMMINGS 654 Golden Eagle Circle Jasper, AL 35504 Cell: (205)-275-7565 Home: (205)-302-7249 Email: lesacummings@netscape. ORGANIZATIONAL LEADERSHIP, M.A. GRADUATE PROGRAM GRADUATE PROGRAM. Achieve More. Together.